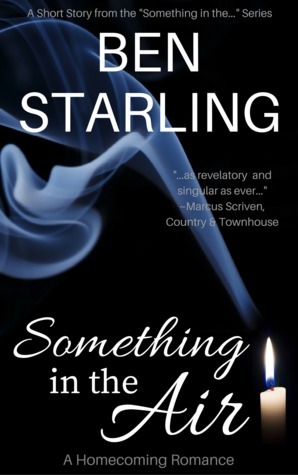 This is a short story in the Something series by Ben Starling, and was given to me in return for my review. While quite short this story is very sweet. It’s a fairly typical romance story but there was just something so gentle yet poignant about this one, that I found myself really routing for the couple after only a few pages. The characterisation is definitely the strong point of this story, something that always makes a book good for me. If I can understand the characters and find a way to like them then I can read pretty much any genre out there and Ben doesn’t waste his words when it comes to making you adore his characters. I was left feeling a little disappointed by the end but with a short that often happens. A good short is always far too short. It may have been a little rushed with the ending and not quite finished, but given that this is meant to be an introduction to a series and a short to boot that could just be because of the style. I’m definitely not going to knock it down any stars because of it. I really can’t wait to read more by this author.